We are your dental home in Oakton, VA for all of your oral health needs. Oakton Dental Center welcomes patients of all ages, providing patient focused dentistry in a compassionate environment. Oakton cosmetic dentist Dr. Ahrabi can enhance your smile with cosmetic dentistry. Highly trained in implant dentistry, Dr. Ahrabi offers full services in one location. Non-narcotic dental sedation with Nu-Calm. Dr. Ahrabi is a Northern VA Invisalign provider and can straighten teeth with discreet orthodontics. 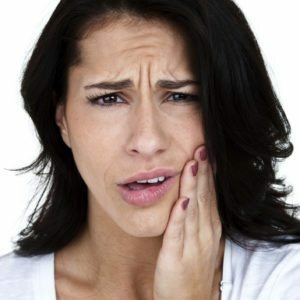 Experienced care for TMJ related disorders and teeth grinding in Oakton. We offer treatment alternatives for sleep apnea to improve your overall health. Dr. Ahrabi, DDS, has been serving Oakton and surrounding Northern VA communities for over 18 years. A graduate of the Las Vegas Institute, Dr. Ahrabi is dedicated to advanced training in order to provide the personalized, high standard of care that our patients experience when they visit with us. Oakton Dental Center is a family friendly Northern VA dentist office. Our team strives to provide patient focused dental care for all ages with an emphasis on disease prevention for a lasting smile. Dr. Ahrabi places all types of dental implants and offers cosmetic dentures for a beautiful new smile. Dr. Ahrabi can treat bleeding gums and other common signs of gum disease. Dr. Ahrabi has advanced training for the diagnosis and treatment of sleep apnea and snoring. Advanced treatment for TMJ disorders and headaches in Oakton, VA.
We look forward to meeting you and helping you achieve your oral health goals. Dr. Ahrabi accepts a wide range of payment options and can file your dental insurance. Download our patient forms to make your visit easy and efficient. 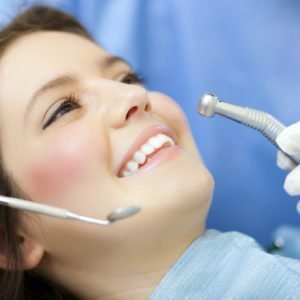 Answers to common questions about your dental health and our dentist office in Oakton, VA.